We are preparing a new version of AthTek Skype Recorder and it is hopeful to be available for downloading at the end of June, 2015. Recently we find some issues in using AthTek Skype Recorder. 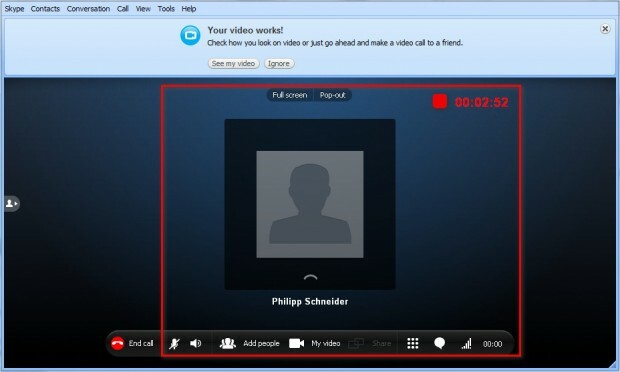 We will optimize the background source code and make it always be the best call recorder for Skype users. If you are looking for a comprehensive Skype call recording program, the new version of AthTek Skype Recorder definitely worth waiting. 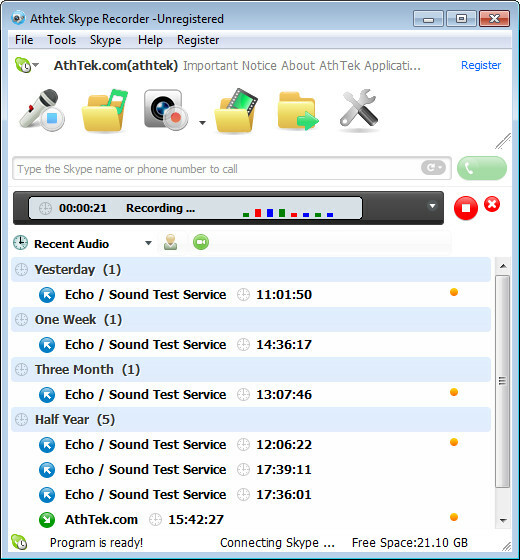 The new version of AthTek Skype Recorder will solve the problem in audio and video call syncing. Previously when working with the latest version of Skype, the video recording may stop syncing audio recording some times. The new version of AthTek Skype Recorder will get this problem solved. 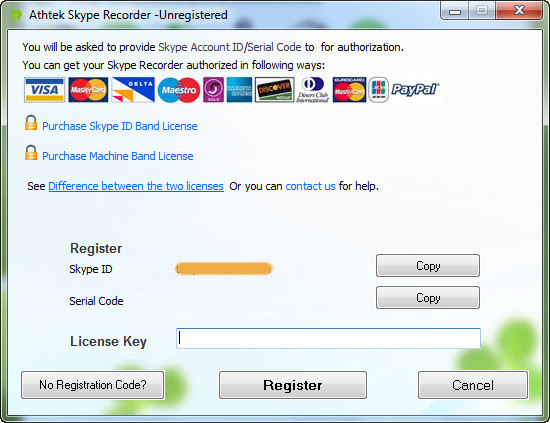 Some users cannot register AthTek Skype Recorder correctly because the PC Code has disappeared. In the new version, we will fix this issue.